Nagaotoge Pass is one of the few places where one can view a cross-section of the outer rim of the Mt. 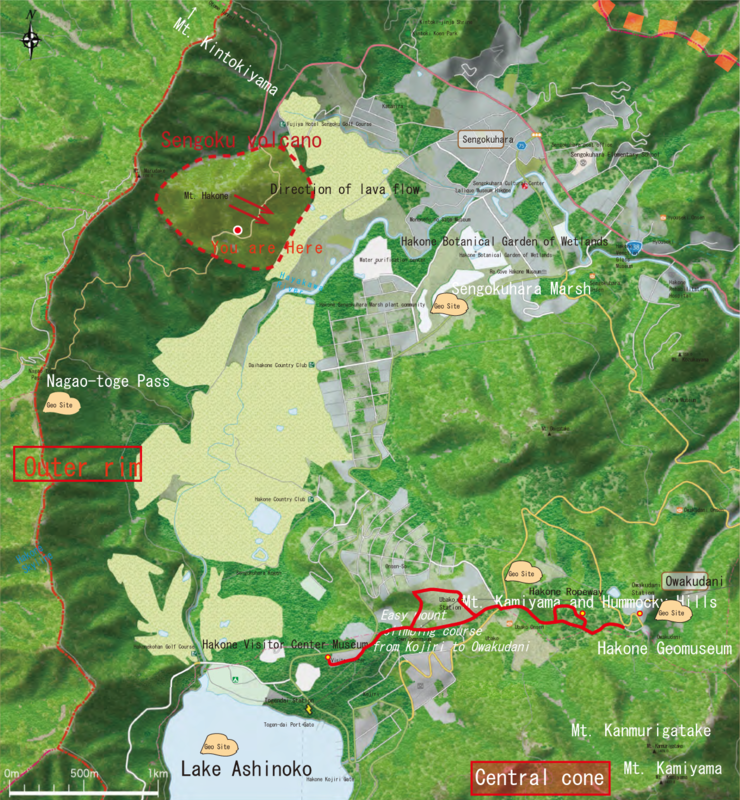 Hakone volcanic complex. The strata at this site were produced by volcanic eruptions from Sengoku, one of the vo lcano’s peaks on the outer rim. The thin layers of rock are lava flows. Other layers are pyroclastic deposits comprising material that was ejected into the air or tumbled down the slope during eruptions, thus creating a pyroclastic flow. Mt. 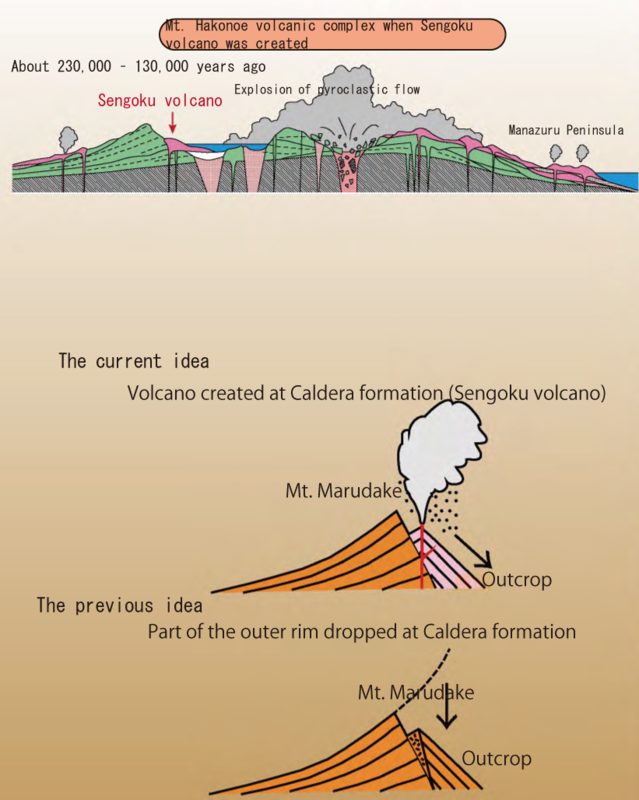 Hakone’s central cones and the crater’s outer rim are par t of a large caldera. Nagaotoge Pass contains deposits that were erupted fro m the volcanic peak of Sengoku when it was active along the caldera wall during the time of the caldera’s formation. It is believed that Mt. Hakone was originally a stratovolcano like Mt. Fuji today. Recent studies have indicated that several peaks of Mt. Hakone, such as Sengoku, have been the sites of volcanic activity in the past. ※Please refrain from getting close to outcrop, because the cliff is vulnerable. This is a part of Fuji-Hakone-Izu National Park. Let’s preserve valuable heritage.